For those who’d like to be trendy, Google Corporation has created an online game where users can guess the most popular searches. The correct answers are based on real searches from the real users and you are the one of them. Be sure, it’s more difficult than you can imagine. 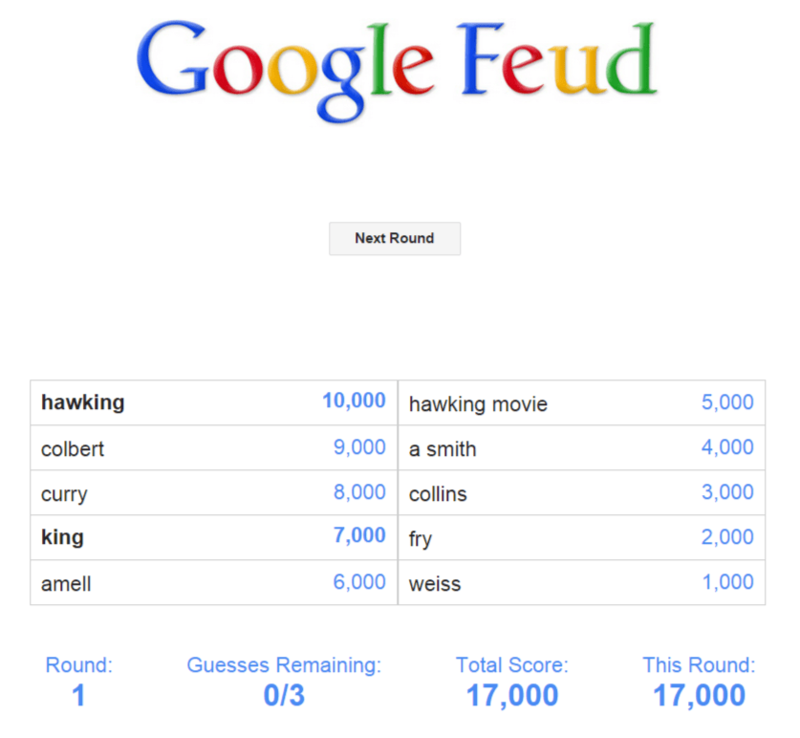 Google Feud game has 4 categories: culture, people, names, and questions. Thus, when we pick the category “names”, we need to complete writing it. It can be what first comes to your mind, any association, or the thing you actually wanna know. If your answer coincides with the most popular search, you open one line with showing the result. If not – it’s a wrong guess simply – you get a red cross. Shame on you. Let’s play. 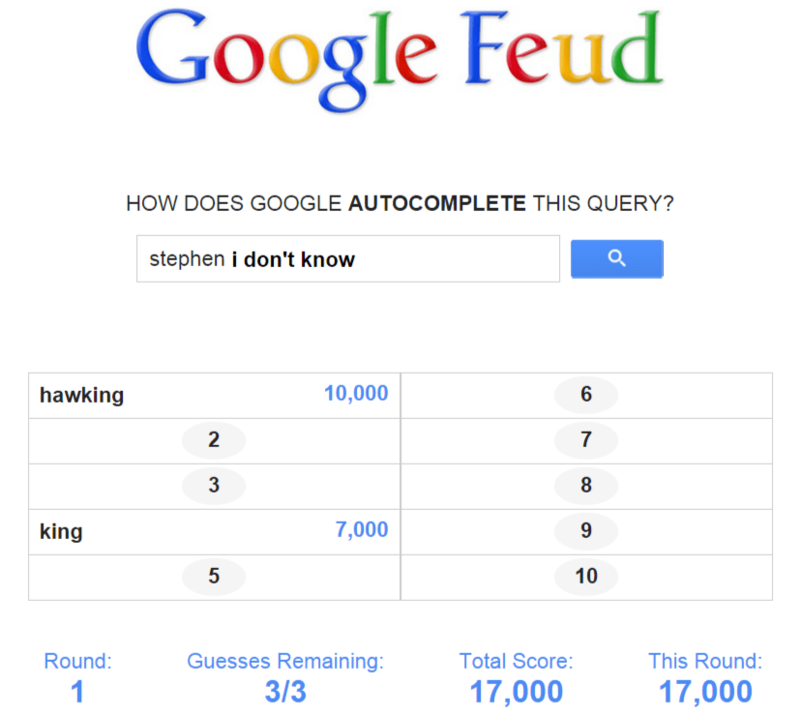 Here Google introduces a name: Stephen. The box-office revenue of “The Theory of Everything” gives us a hint that Stephen Hawking takes one of the first places. But who’s next? Yup, favorite author, King. Let’s look what we have. We’ve guessed two lines and have plenty of opportunities to open more. This happy start doesn’t mean you’ll win the whole game. Now let’s see, what comes if we fail to guess the popular name at least three times. After three red crosses, there appears a table with actual results and your total scores below. Category “questions” will show you what users want to find when they insert “how do you make someone…”, “where can I buy human…”, “why are cats…”. Don’t be surprised when it appears that mostly people are interested in what body parts they can sell. Play as many rounds as you wish, and you’ll find a lot of curious about people’s preferences.